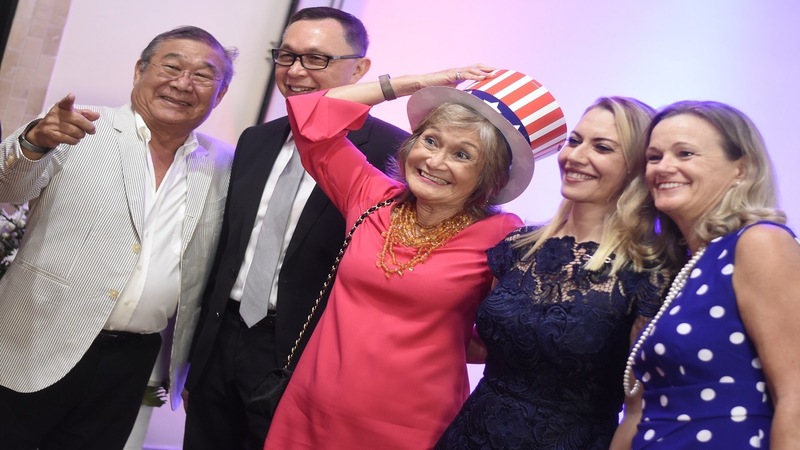 The US Embassy in Jamaica celebrated the North American country's 242nd anniversary of its independence with a grand reception inside the ballroom of the Jamaica Pegasus hotel. Dignitaries, business leaders, heads of different government agencies and American military personnel joined the staff of the consulate as well as other specially invited guests at the event which lasted just under three hours. Formalities were kept short, with the hosts opting for an event for their guests to intermingle and socialise as they lapped up the delectables that the Pegasus chefs whipped up and the variety of beverages on offer. In his brief message to the gathering, Charge d' Affairs of the US Embassy, Eric Khant expressed delight with working with Jamaica on a number of initiatives, while calling the region, America's third border. 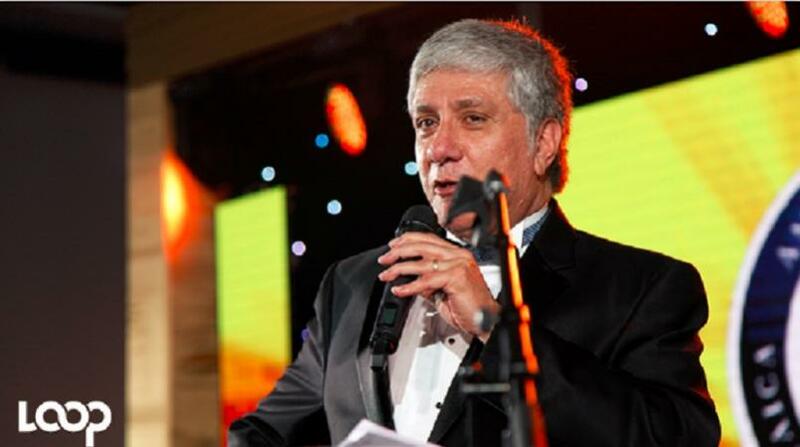 Khant said, "improving security is very high on our agenda and our security cooperation with Jamaica has been robust. As you know, we now live in an increasingly interconnected world. What happens in one region - good and bad - impact other regions. Because of this, the US takes security situations around the globe seriously. 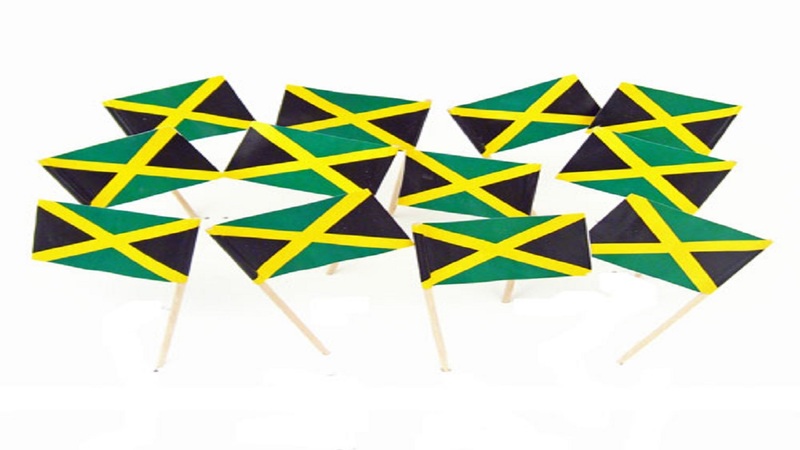 "We often describe the Caribbean as our third border and as such we especially pay attention to transnational criminal activities that are detrimental to economic growth and citizens security of our Caribbean neighbours as well as our own states. "I am proud to say that Jamaica is one of our closest partners in fighting transnational crimes in the region, together, we have targeted lotto scammers, drug traffickers and others and we have dismantled and disrupted many illicit activities, that threaten the well-being of our citizens and business, but still there is much to be done," Khant said. The Charge d' Affairs said both countries need to address underlying issues such as corruption and economic disparities which he said fuel crime. He said he is excited that US investments continue to grow in Jamaica, while the island continues to improve its infrastructure and business environment. According to Khant, the US has also invested heavily in trying to improve Jamaica's health environment, with an investment of over US$12m in the last two years, under the President's Emergency Plan For Aids Relief. 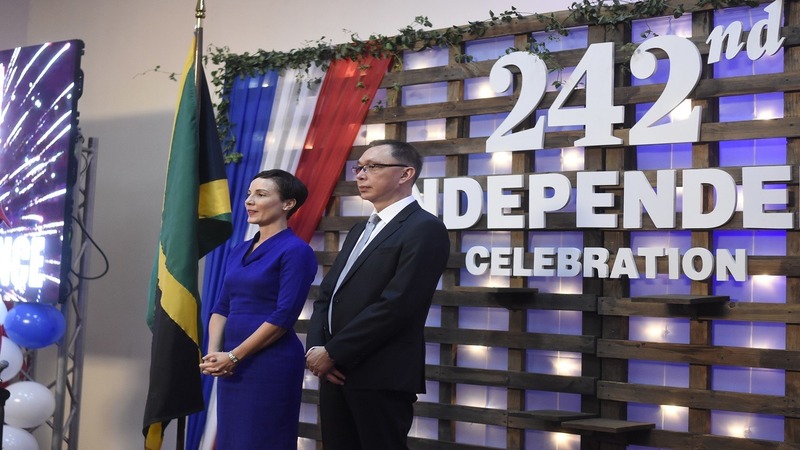 Jamaica's Minister of Foreign Affairs and Foreign Trade, Kamina Johnson-Smith described the United States as a good friend of Jamaica. She highlighted the security aspect of the relationship that both countries share while expressing delight in America's contribution to developing the island's energy security. 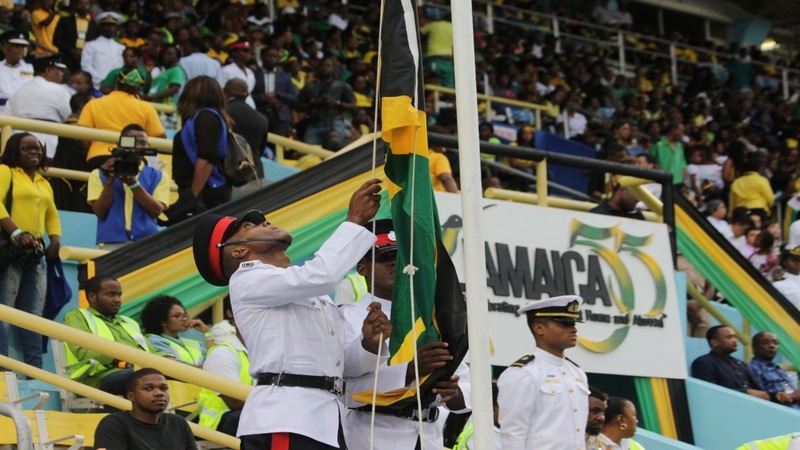 Tiffany Thompson sang the national anthem of both countries, and the National Youth Chorale and the Jamaica Defence Force Popular Band provided entertainment for the gathering.